Foam rolling and trigger point exercises have increased in popularity in recent years for good reason. 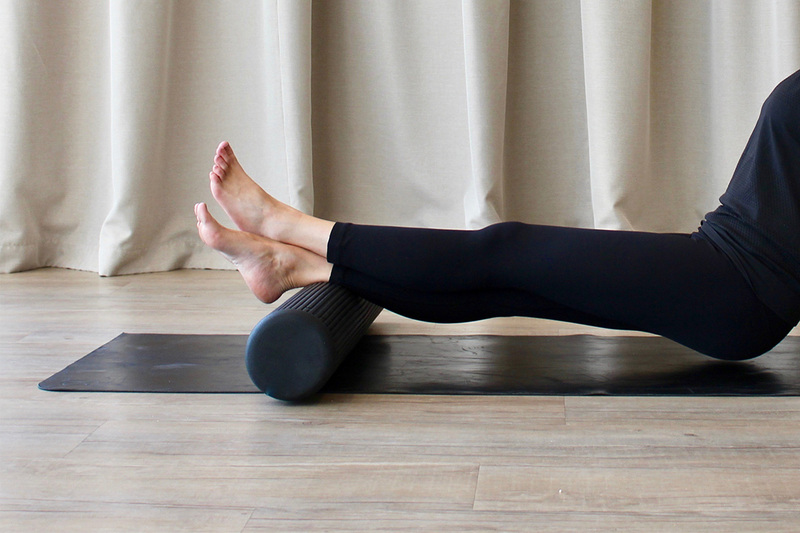 They are forms of self-myofascial release which can act like a massage for your fascia (the body’s connective tissue) and muscles giving you that “hurts so good” feeling. Here are our top three trigger point exercises to put the spring back in your step. Add these into your daily routine and your feet and legs will love you for it. Sit with both legs out in front of you. Slide a foam roller underneath your legs so that it rests where the belly of the calf muscle meets the Achilles tendon. Place your hands on either side of you and cross one leg over the other. Now lift your weight off the ground and start rolling up and down. For added intensity, you can try moving your legs in a horizontal direction from side to side. Gradually move the foam roller up towards the knee (stopping just before the knee joint) and repeat the motion at each section. Once you have completed one side, swap legs and roll out the other side. Sit on the edge of a chair and place a trigger point or tennis ball underneath your forefoot (the toes and balls of the feet). Place as much pressure as you can tolerate on the ball and roll it from your forefoot to your heel. Repeat 5 times, then swap to the other foot. For added intensity, hold the ball under the arch of the foot and try to apply equal amounts of downward pressure through your forefoot and heel at the same time. Remain in the same seated position as the previous exercise and again place the trigger point or tennis ball underneath your forefoot. This time, roll the ball in a circular motion 5 times through this area. Then move the ball under the arch of the foot and repeat the circular motion 5 more times. Finally, move the ball to the heel and again roll it in a circular motion 5 times. For maximum benefit, it is best to perform these exercises first thing in the morning and last thing at night. It also must be mentioned that during these exercises you may experience some discomfort, however if you are in significant pain stop the activity. Want to know how to minimise the impact summer can have on your feet? Check out Michelle’s latest blog on Nourish Melbourne to read her top tips. We will be closed until Thursday 12th January 2017. If you would like to book an appointment online you can do so here. Wishing everyone a healthy and happy Christmas and New Year!